A memorial service held Thursday at Riverside Church honored the late and unquestionably great Gil Scott-Heron with a surprise performance by Kanye West. West performed a tastefully censored rendition of the “Lost in the World/Who Will Survive in America,” the closing suite from My Beautiful Dark Twisted Fantasy to a small crowd of friends, family and well-wishers. Scott-Heron passed away Friday at the age of 62. He was eulogized by his ex-wife, actress Brenda Sykes, who recalled her chance meeting introduction to Scott-Heron through mutual friend and NBA legend Kareem Abdul-Jabbar. 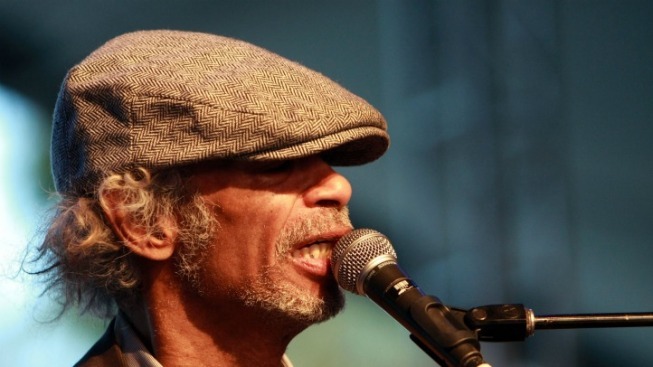 Scott-Heron, perhaps best known for the single "The Revolution Will Not Be Televised" off his 1970 album Small Talk at 125th and Lenox, had enjoyed a recent re-emergence before his untimely death, releasing the highly-acclaimed I'm New Here in 2010, more than 15 years since his last release. Over an impressive career as a poet, musician and activist, he earned the reputation as "the Godfather of rap," a title his former bandmate Glen "Astro" Turner referred to when introducing West at the end of the service.